The penniless idealist Kurikka looked favourably upon the idea given his disappointment with the “drunkenness” and “cruelty” of Queensland. Travelling at the expense of the Canadian Finns, Kurikka arrived in Nanaimo in August of 1900 and soon assumed the presidency of Kalevan Kansa (The People of Kaleva), the same name he had given to his utopian experiment in Australia. “Kalevan Kansa” is an archaic name for the Finnish people. Both Kurikka and Matti Halminen visited government officials in Victoria to gain maps and land descriptions in order to select agricultural land that was accessible to shipping routes. They selected Malcolm Island. towards the north end of Vancouver Island, and named their settlement Sointula, meaning “the place of harmony”. Newspapers of the period looked favourably upon the expected influx of Finnish settlers to “fill up the waste places of northern British Columbia and turn the fertile valleys of Cassiar and Cariboo into prosperous agricultural communities.” But when acquisition of the land was delayed, Kurikka considered moving to Astoria, Oregon where he could edit a Finnish newspaper. To keep Kurikka involved, Halminen raised funds to start a Finnish newspaper named Aika-lehti (Time) which commenced publication on a weekly basis, with Kurikka as editor, on May 17, 1901. Kurikka’s first editorial affirmed his Finnish nationalism and his belief in Christian socialism, as opposed to Marxist socialism. His views were anti-clerical, much in favour of the emancipation of women and messianic in terms of his hopes for British Columbia Finns to lead a working class revolution for the goodness of mankind. To assist him with the newspaper, Matti Kurikka, the Tolstoyan dreamer, brought his friend A.B. Mäkelä from Finland, an experienced editor, who had also been deeply influenced by the Finnish suffragist Minna Canth. The provincial government signed an agreement with the Kalevan Kansa Colonization Company on November 27, 1901. In return for the 20,000-acre island, the company was obliged to procure one settler for every 80 acres of land, or a total of 350 settlers; perform $2.50 worth of improvement work per acre; construct its own bridges, roads, buildings, etc., under specifications furnished by the Government; be exempt from the payment of all taxes save the head-tax, for a period of seven years; and have its members become British subjects, and their children attend schools in which the language of instruction was English. If these five conditions were fulfilled, the full title to the land would be granted after seven years. The first five settlers reached Malcolm Island on December 15, 1901. Approximately 2,000 people came and went during the four-year existence of the colony, located six miles from Alert Bay, but many of these did not stay long. By 1903, for example, Sointula had 238 Finnish inhabitants, including 88 children. On January 29, 1903, eleven residents died in a disastrous fire that destroyed much of the village. No church was ever erected because each person worshipped as they saw fit. This sophistry did not impress the women of Sointula who were outnumbered by men two to one. 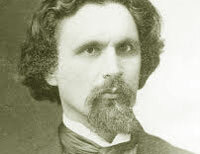 Kurikka’s unrealistic notions about free love and communal child care led to his departure from the commune in October of 1904, along with half of its members, who made a very brief effort to make a new colony named Sammon Takojatresurrect at Webster’s Corners in the Fraser Valley. Kurikka returned to Finland, then resettled with his family in 1909 on a farm in Rhode Island from where he contributed to the New York-based publication Uutiset. Born to well-to-do Finnish parents in Ingria, Russia, on January 24, 1863, Kurikka died at Westerly, Rhode Island on October 1, 1915. In the wake of some fiscal mismanagement, and indebtedness to its own members, the Colonization Company was liquidated on May 27, 1905. After communal property was sold to cover shared debts, some settlers remained as individual settlers. By the early 1930s there were approximately 450 people in Sointula. This number increased to 570 in 1958 and 700 in 1973. A.B. Mäkelä used his pseudonym Kaapro Jääskeläinen to publish a memoir of the socialist experiment at Sointula called Muistoja “Malkosaarelta” (1907), published in Helsinki. Mäkelä continued to have a remarkably diverse career in left-wing journalism. Having published a magazine called Vapaita Aatteita (Free Ideas) with Minna Canth in 1887 and having worked with Kurikka on the Viipurin Sanomat from 1892 to 1894 and succeeded him as editor of the workers’ daily Tyomies from 1899 to 1901, Mäkelä left for Massachusetts where he edited the Finnish newspaper Raivaaja. He returned to Finland in 1907, but came back to Sointula in 1909. He took a job editing Toveri in Astoria, Oregon in 1917, leading to a series of jobs with left-wing newspapers in the United States and Canada including Vapaus in Sudbury, Ontario. He partially worked for Vapaus from Sointula where he died of a hemorrhage on February 28, 1932. Matti Halminen’s history appeared as Sointula, Kalevan Kansan ja Kanadan Suomalaisten Historiaa (Helsinki, 1936). An earlier UBC graduate thesis in English by Kalervo Oberg is Sointula, A Communistic Settlement in British Columbia, 1918. Several other writers have delved into the subject including John I. Kolehmainen (BC Historical Quarterly Vol. V No. 2), George Woodcock (“Harmony Island: A Canadian Utopia” in British Columbia, A Centennial Anthology, 1958) and Jack K. Heino (The Michigan Academician, Winter, 1971). Relatives of Kurikka, Arno and Osmo Linnoila, completed MA theses on Kurikka in Helsinki in the 1930s and 1940s. A Finnish newspaperman named Kalevi Kalemaa published Matti Kurikka: Legenda jo eläessään (Porvoo, 1978) (Matti Kurikka. A Legend of His Times). There was also a biography by Arvi Hautamäki. The Sointula Centennial Committee produced Aili Anderson’s History of Sointula (Sointula Centennial Committee, 1958; later supplemented by Mrs. Aini Tynjala, Vancouver: Broadway Printers, 1969). 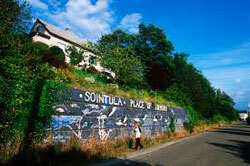 Bill Gaston’s novel entitled Sointula (2004) is not primarily concerned with the history of the settlement. George Bowering’s first wife Angela Bowering, also an author, was partially raised in Sointula. Bruce Burrows’ Blood on the Decks, Scales on the Rails (Sointula: Scintillating Tom 1995), is a collection of weekly columns he wrote about fishing on the West Coast for the North Island Gazette. As a Sointula resident, journalist Mel Dagg, with a Ph.D in Canadian literature from the University of New Brunswick, published several books of fiction. Charles Lillard and Gordon Fish co-wrote Dreams of Freedom: Bella Coola, Cape Scott, Sointula (Provincial Archives Aural History Program, 1982). The population of Sointula was around 500 in 2011. Sointula, Kalevan Kansen ja Kanadan Suomalaisten Historiaa (Kustantaja Mikko Ampuja, 1936). (Sointula. The People of Kaleva and the History of the Canadian Finns). 136 p.